Innovation is often discussed as a very abstract process. People are, of course, involved, but they are slightly impersonal people, components of the innovation machine, not fully rounded agents. That’s a caricature, but not a wholly unfair one, and the caricature makes it less obvious than it might otherwise be that we need to look beyond the roles to the people who play them. This post addresses that head on, focusing on the four specific ideas flagged in the title. None of them sound dramatic or revolutionary – and that is perhaps the point. They won’t solve the problem, but they are all useful ways of doing things better, and they are all well worth folding into approaches to innovation. Digital government is both something and nothing. It is something because there’s no denying that people use the phrase and think they mean something by it. Digital technologies are a distinctive driver of change in modern societies and economies and they make things possible that would be otherwise harder or not feasible at all. Filing cabinet government. carbon paper government and even mainframe government are all very clearly different from digital government. And yet digital government is nothing. Precisely because digital is everything, calling something digital doesn’t add much to understanding, but draws attention to the technology, which is simultaneously vitally important and not the thing which really matters. But given that the phrase is not going to go away, some clear-headed thinking about what we should understand by it and how we should apply is highly desirable. And that is precisely what this paper offers. It’s a draft open to public comment, so very much still evolving, but it’s already a useful overview. 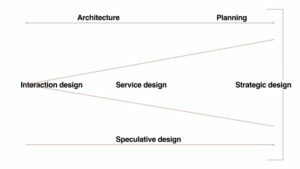 It neatly and successfully avoids the traps of equating digital with technology and digital uniquely with service design, but is slightly less successful in avoiding the suggestion that digital is done by digital teams. Fifty year old documentaries are not the staple of Strategic Reading, but this one is an intriguing insight into thinking about the future – a future which has of course become our past and present. 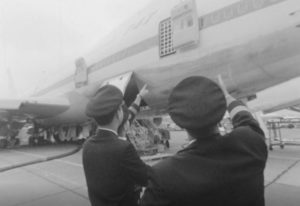 It was made just a few months before the Boeing 747 went into service: the physical plane was very real, the implications for wider service design were very uncertain. There’s an intriguing clip early on where the head of the Royal Aircraft Establishment observes that over the then half century of passenger flight, planes had doubled in size every ten years. The 747 fits that trend perfectly. Extrapolating to the next century, muses the Director, that would imply planes carrying 10,000 people. And you can hear in his voice both confidence in the trend and doubt about its implications, battling for dominance. Half a century on, we know that it was right to doubt – the 747 was in some important ways on the inflection point of the growth curve. Planes haven’t got faster or higher or more comfortable since then, and they haven’t, with the brief and apparently aberrant exception of the Airbus 380, got any bigger. That brings Herb Steins’ great line to mind, ‘If something cannot go on for ever, then it won’t’, and that in turn is an important reminder that in thinking about the future, it is unwise to assume that exponential change is unconstrained and indefinite. Meanwhile, stay with the documentary to stumble across the world’s only vertical take off passenger plane, developed at the same time as the 747, but never quite attaining the same dominance of the skies. 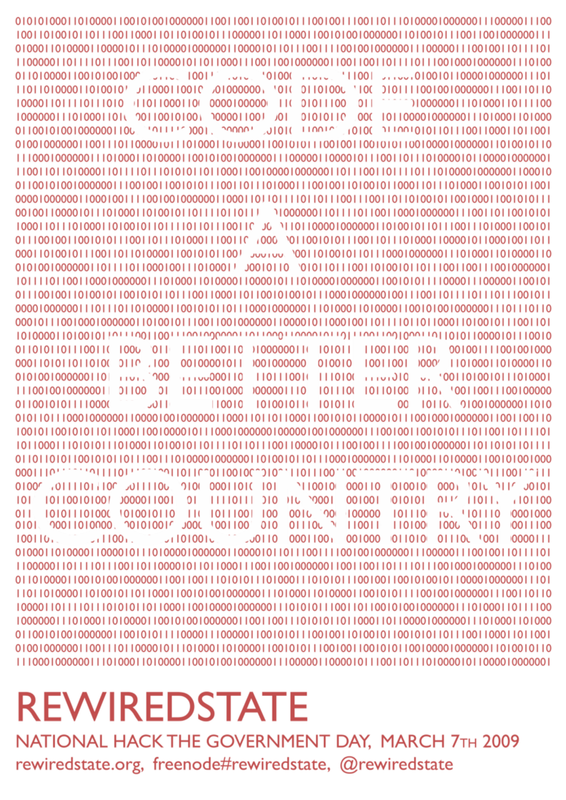 Nesta wants to reimagine government, and invites anybody to have a go. This post is a call for contributions, looking beyond the immediate constraints of austerity (explicitly) and Brexit (implicitly). We are interested in views which challenge existing orthodoxies, as well as those which take current trends, technologies or ideas to a new frontier. For the purposes of this collection, we have no fixed view of what future government should look like. We bring an open mind and hope to be challenged and surprised. The challenge is a good one and it will be interesting to see what ideas emerge. Some, no doubt, will be visionary descriptions of what might be possible, of what ambitions we might set for ourselves. But it would be a good balance if some at least also contained an account of how it might be possible to get there from here. The robots are coming for our jobs. That will bring mass unemployment and social collapse. Or perhaps a benign world of plenty with universal more than basic incomes. That’s if they are coming at all. These are not predictions but scenarios. What we mean by this is, we are not saying any one of them will come to be. However taken together they capture what we feel is the entire area of plausible future, and each one, we hope, shines a distinct light on an urgent set of challenges and opportunities that our future might hold. As is often the case with scenario based approaches, it’s debatable how far they are independent of each other. But that is almost to miss the point: however structured, the scenarios bring out some profound social and political choices – but with little sign of the wider engagement, understanding and debate that that demands. This article starts with the strategy of an anonymous pharmaceutical company, or rather with a discussion of its weaknesses. Rather more promisingly, it then broadens out to look at the NHS and digital health information. There is a long and largely unhappy history of bold claims for the application of information management to the health service, which have consumed a lot of money but have had proportionately little to show for it. NHSX is the latest attempt to bring it all together, and the argument here is that this still represents technology modernisation rather than digital radicalism. That leads to a still more fundamental issue, a challenge to one of the great mantras of digital government, that the strategy is delivery. That’s always been a naive view – it’s fine to argue that a strategy which doesn’t result in delivery isn’t much of a strategy, but the argument that the strategy emerges from delivery doesn’t really hold up. Instead, the question here is whether government should be rethinking its role more radically, embracing the idea of government as a platform, rather than building another platform for government. A history of street lighting in Croydon might not seem like immediately compelling reading. But both the history and the parallels with digital government are unexpectedly fascinating. A few points stand out. The first is the retrospective inevitability of commoditisation. The parallel between electricity networks and data networks may seem obvious, how far that moves up the stack and with what consequences is rather less so (because less of that had happened yet). The second is a different way of coming at a question which has arisen around digital public services pretty much from their first appearance: does a model of government drive the design of online services, or does the building of online services drive thinking about government? And the third is a good reminder that changing and modernising can be much harder than building from scratch, and that for governments more than most, the new is almost invariably intertwined with the old. Is the Solow Paradox back? In 1987, the economist Robert Solow observed that the computer age was everywhere except for the productivity statistics. In some sectors, that started to change a decade or so later. Now, a further two decades on, the nature of ‘the computer age’ is very different and there is a further round of technology-driven change with even greater potential than the last one. The main conclusion of this article is that there is another surge of productivity growth waiting to be captured, though acknowledging some significant transition inefficiencies along the way. And there are still wider effects not directly reflected here – autonomous vehicles, for example, have the potential to be more immediately efficient but might add to externalities elsewhere through increased congestion. Stepping back from that, perhaps the deeper message of Solow’s paradox, now as much as when he posed it, is that technology-based change is never just about the technology and that understanding the social and economic context in which it is deployed is always a vital part of the overall picture. The rise of the gig economy and the relentless undermining of traditional employment structures is often seen and presented as an inexorable characteristic of modern digital economies. That’s partly a consequence of skewed observation, partly a recognition that organisations can increasingly trade rich information for formal structures, and perhaps partly a change in the reality of people’s working lives. This article addresses the last of those points using recent US data – and concludes that the number of people working in the gig economy is small and growing only relatively slowly. That’s a helpful balance to some of the hype, though it does unavoidably leave one of the central questions unanswered. If we can, to adapt Solow’s paradox, see the effects of the gig economy everywhere except in the productivity statistics, is that because they aren’t there to be seen, or because we are at the very early stage of what may be exponential growth? Perhaps, as with Solow’s original, it will take a decade or two to tell. The idea of describing things in terms of stacks is a familiar one in the worlds of technology and of operating models. It’s not such a familiar way of describing government, though it’s an idea with an honourable history, including Mark Foden’s essential summary in his gubbins video. Considerations of safety, accountability, and democracy must at all times be viewed as equal to considerations of efficiency. The emergence of government platforms represents a new way of organizing the work of government. As such, the task at hand is not to understand how we patch existing systems of government, but of how we adapt to something new that will come with its own set of opportunities and challenges, risks and prizes. What do you have to do to make government work better? People have been asking that question for a very long time (it’s over 150 years since the Northcote-Trevelyan report asked a version of it for the UK government), but answers continue to be elusive. Ten years ago, there was an attempt to approach the problem bottom up rather than top down: demonstrating better government by building some small pieces of it to demonstrate what could be – and should be – possible. It was an attempt which was small to vanishing in its direct effect, but was an influential precursor of much of what followed. That influence is still visible in the way things get designed and built across government, but something of the radical edge has got lost along the way. This post both celebrates what was done in those heady days and poses the challenging question of where the equivalent radicalism needs to come from now. Gradual change is not enough, it argues, now is not a time for patching. Given that build up, the call to action falls a little flat – a resounding cry for a committee of enquiry into the civil service hardly sets the heart racing. But the fact that better answers may be needed emphasises rather than undermines the power of the question. It is counter intuitive that insights don’t have to be counter intuitive. There is excitement and recognition in grand discoveries, uncovering what we didn’t know as a critical step towards doing a better thing. The bigger the surprise, the better the achievement. And at the other end of the spectrum, the time honoured way of sneering at consultants is to say that they have borrowed your watch so that they can tell you the time. Over and over again, though, big organisations pay expensive consultancies to do exactly that. There are various reasons why that might be rational (or at least understandable) behaviour, one is perhaps that the obvious is not actually obvious until it is made obvious. Findings don’t have to be earth-shattering to be useful. In fact, I’ve come to believe that in many workplaces, obvious insights are the most powerful forces for change. This post, which is in effect a case study of acting as if the assertion were true, throws useful light on what it could mean. In doing so it makes it easier to see that there is a risk of eliding two questions and that it is worth answering them separately. The easy first question is whether policy and delivery should understand and respect each other and expect to work in close partnership – to which the answer must be yes. The harder second question is whether the venn diagram does – or should – eventually consume itself to become a single all encompassing circle. Verbally and visually, the argument of this post it that it does, and that argument is powerfully made in respect of the service it describes. But that still leaves open the question of whether the model works as well when the service is less specific or delivered less directly. ‘Start with user needs’ has been the mantra of digital government since the early heady days of GDS. It’s a thought which is simple, powerful and – this post argues – wrong. Or, more accurately, unhelpful: it’s a concept which both lacks precision in its own right and risks being too tightly coupled to the construction of solutions. This is not some random hit job, but a deeply reflective post which brings out clearly where user research most adds value, by being still clearer about where it doesn’t. In doing so it draws out a point which is relevant and important to a much wider audience. 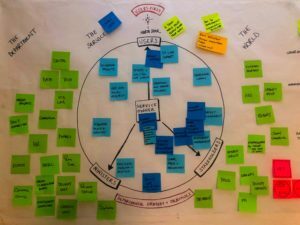 It positions user research as a means of reducing risk – and that is important not just as a way of helping senior decision makers see the value in it, but because basing decisions on unexamined and untested assumptions leads to bad consequences (and has been doing since long before government was digital). Everybody is in favour of evidence-based policy – by definition it must be far superior to the policy-based evidence with which it is often contrasted. This post is a brave challenge to the assertion that there is an evidence base for evidence-based policy. In particular, it argues first that weak evidence can be unwittingly assembled to appear misleadingly strong and in doing so close down policy options which should at the very least be kept open; and secondly that experimentation is a better approach, precisely because it avoids forcing complex issues into simple binary choices. That’s not an argument that evidence is unimportant, of course. But it’s a good reminder that evidence should be scrutinised and that simple conclusions can often be simplistic. Dan Hill – But what was the question? This is quite a demanding essay. It demands some time to read, at about 6,000 words, and it demands more time to reflect, not least because it is subtly challenging. How do we design our interaction with our urban environment in a world of new technologies? How do we balance optimisation for individuals against optimisation of wider systems? How, more broadly, do we ensure that social objectives drive the adoption and deployment of technology rather than being driven by them? Or to step back from the detail (and in some ways from the specific subject), there’s a pretty strong consensus on what user centred design means for individuals; much less so on what it might mean for groups of people whose lives and activities intersect and affect one another. There are clear examples of what new approaches to design might look like and of how they have been applied. But there isn’t much here about the social and political approaches which create the space for those design approaches to flourish. It’s unfair to criticise this essay for not doing something which it makes no claim to do, but the concept of ‘strategic design’ it introduces perhaps has a further level still.